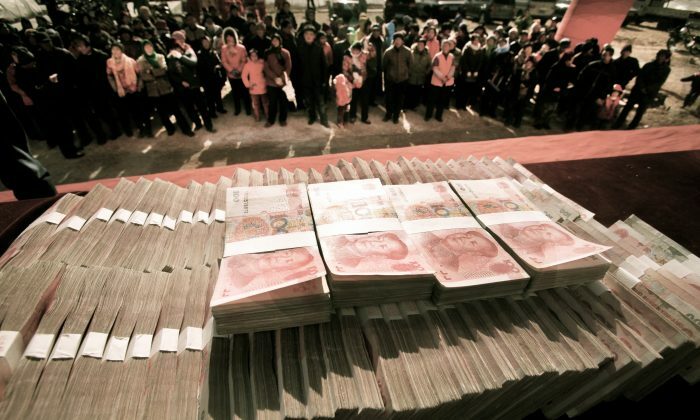 China is likely to create a new criminal law to prevent officials from seeking exemption from bribery cases on the excuse of “taking gifts from friends.” The executive committee of the regime’s rubber-stamp legislature will host sessions to discuss the proposal next week, state news media reported. The Standing Committee of the National People’s Congress will discuss new legislation at meetings from Oct. 27 to Nov. 1, according to the English-language China Daily on Tuesday. The report says many corrupt officials defend themselves in bribery cases by saying that they simply accepted gifts, which is not considered a crime under current law. The draft proposal is to punish government officials who accept gifts or money reaching a considerable amount. Giving gifts or red envelopes containing cash to friends and family is a custom in China during holidays and important events such as birthdays and weddings. However, it’s also been taken advantages of by people as a means for bribery. Luxury watches, handbags, belts, and so on have all been used as gifts to officials, the report says. Compared to the punishment for accepting bribes, the sentence for accepting gifts would be lighter. Analysts suspect that by creating the new law it may offer a chance for corrupt officials to seek the lighter charge to avoid heavy punishment of accepting bribes. Senior Chinese political commentator Shu Shengxiang published an opinion article on the website of the state-run Xi’an Evening News, urging the line between gifts and bribes be clarified if the new law is to be created. “If [the officials] simply take gifts, then they shouldn’t be punished. If a law is established to punish the action, it means the gifts accepted are actually disguised bribery. If it’s bribery, why not punish [the officials] with the sentence for accepting bribery. Isn’t that contradictory?” Shu wrote. The mysterious leak of information about a secret deal made by Hong Kong chief executive Leung Chun-ying may have been arranged by Beijing authorities.